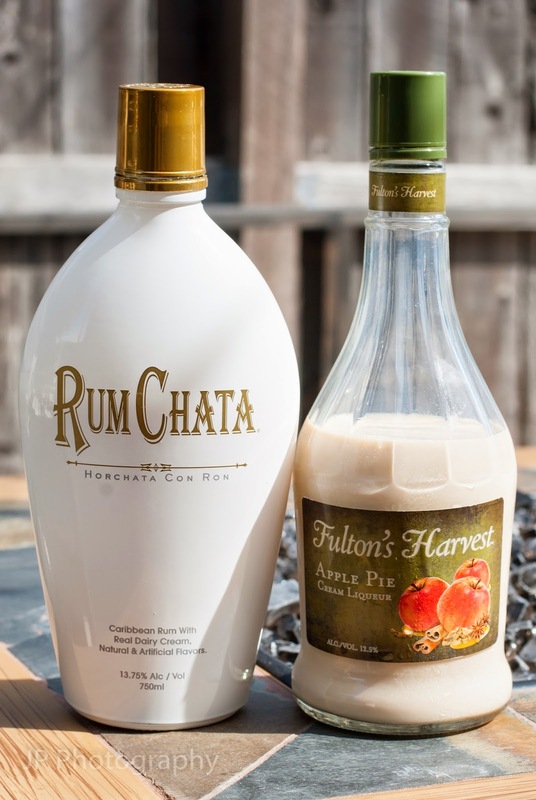 Day 5 is here and I now have 5 new cocktails that contain Rum Chata! Let me tell you.......tonight's cocktail IS SOOOO NEEDED! I made today a "No TV or computer game day". Wait that's not the bad part, it actually went well........until we left the house. Rewind....this morning the girls were playing in their room so peacefully. Our second oldest son was doing his thing and would occasionally pop in the girls room to see what they were doing, it was nice. I took our oldest son to get his hair cut. Everything was going well. We got home and the girls and youngest son had the girls room so clean, HUGE smile on my face. OK, then like I promised you, let's head off to Michael's (local crafty kind of store) to find some fun things to do over the summer. That's where we fell apart. We get to the store, yeay. Everyone's excited....then they start touching.......EVERY-THING. I honestly can not count how many times I told them to stop touching....I was trying my hardest to use my "We're in public so I am going to try to talk stern, yet calmly to you" voice. We finally got out of there and into the car where I proceeded to tell them where they went wrong. There was denial that they did anything wrong, until I pointed out exact times and isles where "said incidents" happened.....which quieted them down. Now I'm all for getting excited and finding fun things to pick out and of course you need to touch them to get them and check them out, but WE DON'T NEED TO TOUCH EVERYTHING......ESPECIALLY THE GLASS ITEMS!! Phewph.....ok, sorry........rant done......now onto the cocktail! 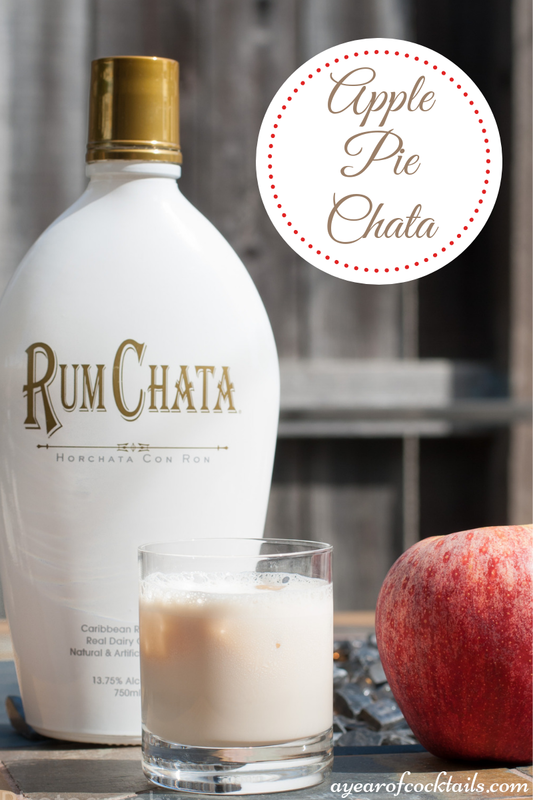 I created tonight's cocktail with my apple pie liqueur because in a way with the spices I taste in the Rum Chata, reminds me of the spices (sort of) in my apple pie liqueur. I thought they would be a good match. This is a pretty good cocktail! In a shaker, add ice and the two ingredients above. Shake and strain into a cocktail glass that is filled half way with fresh ice. 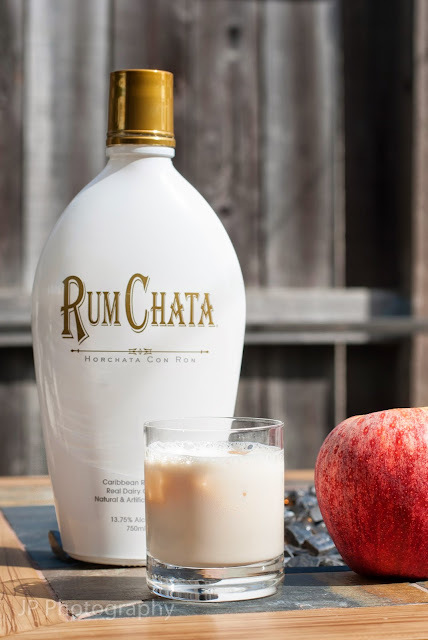 Here's to 5 Days Of Rum Chata! I had fun and I hope you all had fun following me in my adventure this week!